Blockchain is opening a world of new opportunities in the energy sector and one of the major challenges is to insert trustworthy data into the blockchain. 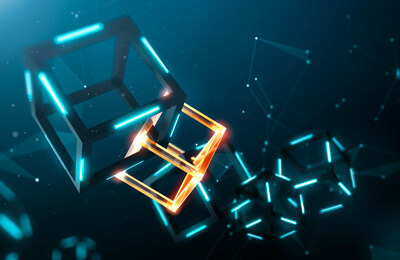 ENGIE and Ledger have signed an agreement to develop the first secured, autonomous and blockchain agnostic (*) hardware oracle for the energy sector. The device will measure the data at the source of green energy production (such as wind turbines, solar panels or hydropower) and will record it securely into the blockchain to be used for decentralized applications. This initial solution is the cornerstone of all future energy services using blockchain, including energy traceability, peer-to-peer trading, crowdfunding, etc. The device will be able to connect different blockchains and several decentralized applications at the same time. As security is key to having trustworthy data, the device will include a Secure Element and an anti-tampering solution, combining ENGIE expertise in energy and Ledger expertise in security in blockchain environment. ENGIE (with its research center based in Saint-Denis) and Ledger have developed and successfully tested prototypes that have been installed on several wind and hydro assets. They have allowed ENGIE to build its own traceability and certification platform for its clients. Such positive results are the breeding ground for ENGIE & Ledger innovative development: a unique blockchain-agnostic hardware compatible with most important blockchain solutions and platforms used in the energy world. “Investing in blockchain technology definitely serves ENGIE’s ambition to lead the energy transition; green energy traceability and data reliability are at the heart of this challenge”, says Edouard Neviaski, CEO of ENGIE's Global Energy Management Business Unit, which manages the Group's activities on energy markets. “We do not only provide our clients with green energy, we also develop innovative and technological solutions to support them in their energy transition”. Eric Larchevêque Chief Executive Officer at Ledger, said:“ENGIE’s embrace of blockchain technology is forging a critical path forward in the future of energy. By enabling the decentralized collection of valuable green energy data, this blockchain-powered oracle has the potential to lead to numerous sustainable energy solutions. As the world leader in blockchain infrastructure security, Ledger is proud to have partnered with ENGIE on this project to ensure best in class security for this technology". Read the article (in french): Les echos "Blockchain: Engie noue un contrat majeur avec Ledger"